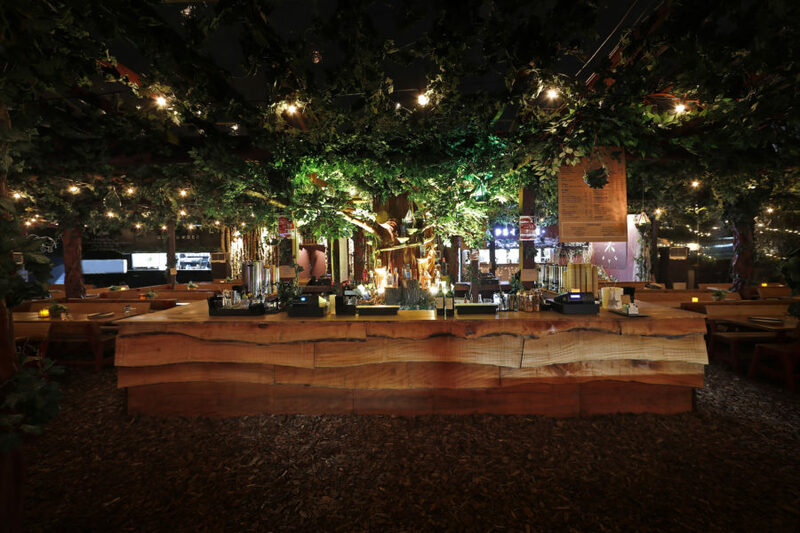 Set 100-feet-high under a canopy of holly, ivy, and winter flowers Pergola on the Roof is back and is filled with some of London’s finest restaurants, one of which is joining Television Centre. 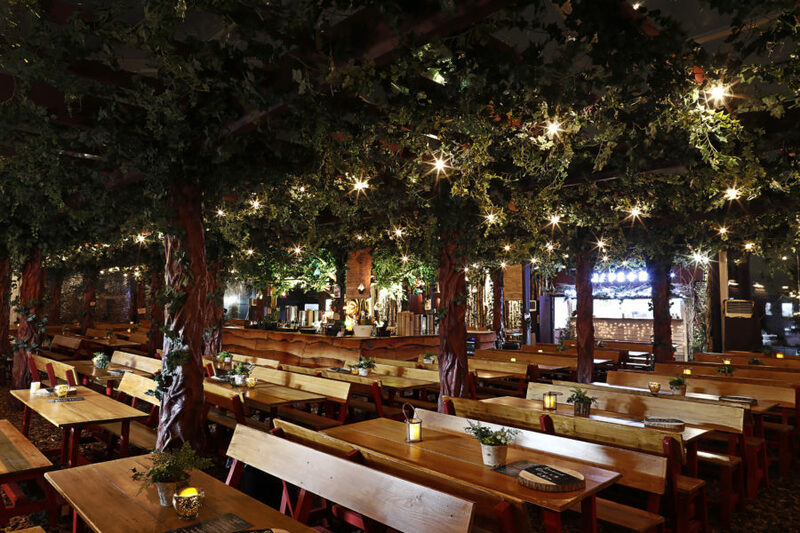 Pergola on the Roof is a piece of wintry escapism – a rooftop eatery, covered by a low level wooden structure wrapped in forestry foliage, set against burgundy walls and paved with woody bark. Think silver birch trees, low level lighting, blankets, cedar wood, oaky scents and candle light. Same rules apply as the summer, 600 seats, 4 restaurants, 2 bars, 5 day beds, and a whole heap of fun!